As the temperatures drop, every year I manage to convince myself that I'll power through cold and flu season without getting sick. And every year, my immune system reminds me that I have two children who are germ factories. No matter how much I remind them to wash their hands and cover their mouths when they cough, they still manage to bring home a cold that causes me to cough until spring. Combine the amount of viruses floating around with the way that cold and flu season is unpredictable in terms of timing, severity, and length, and it isn't a stretch to say that the whole thing can hit your family without warning. Does anyone enjoy spending time scrambling to take off time from work, catching up on missed homework, disinfecting your home from the germs, and more? Not to mention that if you aren't prepared with cold and flu essentials like Kleenex Everyday Tissue, you'll find yourself playing catch up after sickness has entered your home even more. Fortunately, the Kleenex brand website is filled with helpful tips and advice to prepare your home for what's ahead, and useful information to help you avoid the last minute trips to the store so that you can care for your family when someone gets sick. The Center for Disease Control recommends facial tissues as one of the key strategies to minimize cold and flu viruses. Every year, the U.S. alone reports more than one billion colds and 35 – 50 million flu cases. Boost your immune system with Vitamin D – enjoying a little sunshine can help. To help reduce your fever, put wet towels around your shoulders instead of your forehead. Avoid using humidifiers when you're sick – they can actually spread the flu germs. Not all liquids hydrate equally – stick to water, herbal tea and fruit juice when you're sick. All colds are contagious, regardless of mucus color. Soothe a sore throat by gargling a teaspoon of salt dissolved in warm water several times a day. When it comes to fevers, 104°F and playful is less concerning than 101°F and lethargic. 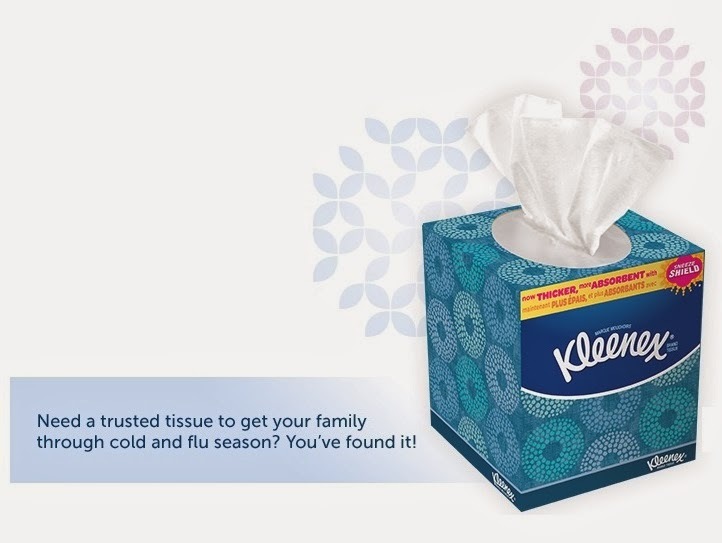 Visit Kleenex.com to find even more tips for a better cold and flu season for your family and be sure to stock up on Kleenex brand's new thicker and more absorbent everyday tissue, which provides exceptional hand protection by helping to keep hands clean and dry. 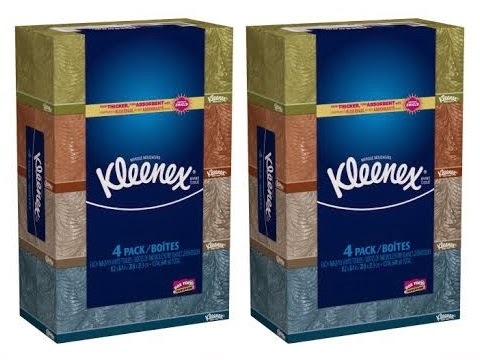 To learn more about Kleenex brand's new thicker and more absorbent everyday tissue (and to download a coupon!) visit Kleenex.com/flu. And be sure to head over to My-Achoo.com to find out what the cold and flu situation looks like in your area with their innovative achoo by Kleenex cold and flu predictor! As a Kleenex Brand Ambassador, I was compensated by Kleenex for my time in sharing this information with you. However, as always, all thoughts and opinions are honest and my own. According to My-Achoo.com, our area is at "medium" risk. We've already had one bad cold sweep through the house (even the cat got sick, and she's still sneezing! ), and I really don't want to go through that again--or even worse, the dreaded flu. Thanks for posting the tips for prevention. Here in Colorado it says we are also at 'medium' risk. I'm fighting off a cold (winning so far but still sneezing). I think I'll go make some tea. I need some right now. It's on my list. I usually keep a dozen or so boxes in the house then stock up when I find a sale, so I'm not sure how I ran out...but I did. These are great tips, I knew that you should not use a humidifier when sick and I always gargle with salt dissolved in warm water when I have a sore throat. I did not know that a fever of 104 degrees and playful is less concerning than 101 degrees and lethargic. Thank you for posting this information.